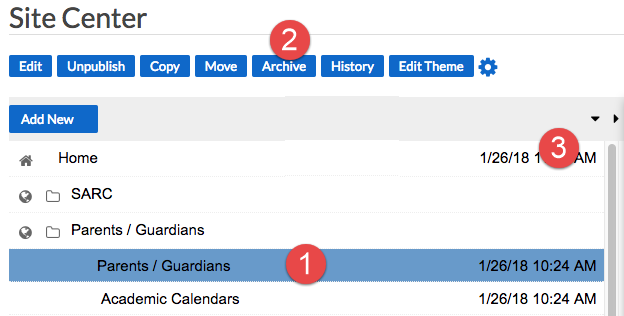 This article describes how to archive a minisite or page. In SchoolLoop, minisites and pages are archived rather than deleted and all archived items can be restored. From the Site Center, select the desired page or minisite. From the Tools tab of the Site Center, click the View List button for Undelete Pages and Minisites.